iPhone 8 is most awaited gadget of 2017. Rumors are strong that smartphone will showcase spectacular specs and features of iOS11. 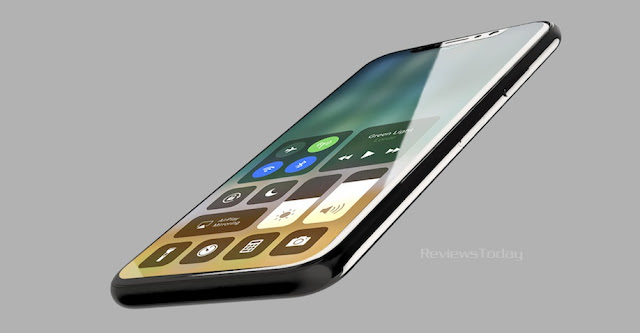 The iPhone will potentially launch in or after September 2017 however few leaks are already in public domain reflecting what to expect from the new avatar. 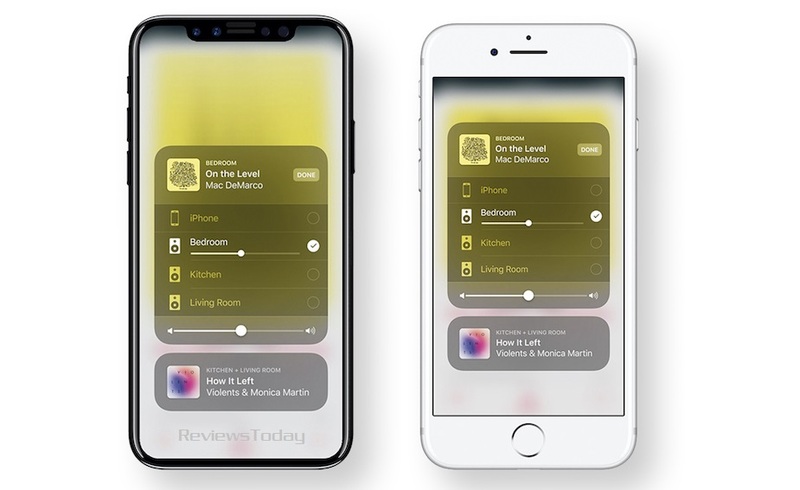 a) The new leak brings re-imagined extracts of the iPhone running on the newly announced iOS 11 and has Bezel-Less Display, Facial Recognition Features which was spotted in HomePod Firmware. The HomePod's firmware revealed a face unlock feature for the iPhone It has references of "BKFaceDetect," which stands for BiometricKit The codebase also mentions infrared camera. 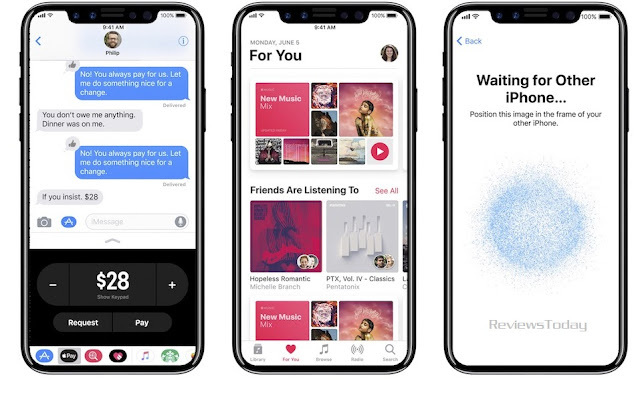 b) The latest leaks showcases the new Control Center, Lock Screen and Apple Music along with the Messages apps on a bezel-less display. c) The phone will have no Home Button in the front, and sports a small lip at the top edge to place the earpiece, and front camera sensor. d) iPhone 8 may also feature a front laser and infrared sensor to bring facial recognition capabilities. e) Touch ID, will be embedded underneath the display. 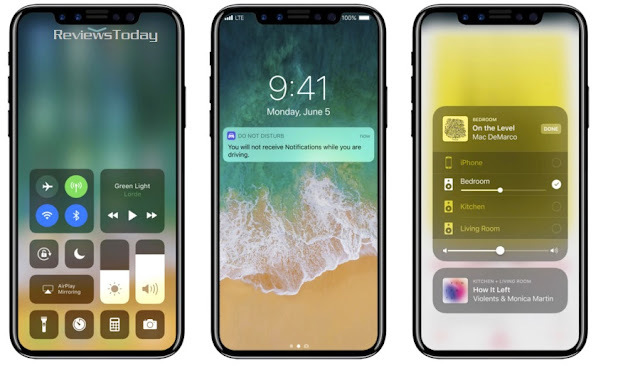 f) iPhone 8 is expected to introduce wireless charging capabilities. g) Camera is going to be major highlight of iPhone 8 – at the back, the vertical dual camera setup is going to be essential for AR capabilities. h) Apple has almost confirmed that the iPhone 8 will come with AR features, (ARKit released with iOS 11). i) The new iPhone will have an integrated OLED display, an Apple A11 chip, and a 3D front camera as well. j) Leaked iPhone 8 dummy models show a stainless steel trim around the edge of a black device. A recent report said that Apple was planning to include an infrared camera for scanning the face of users as well.